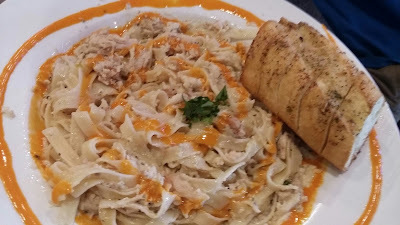 Fettuccine Alfredo is my favorite pasta dish. I commit gluttony every single time I consume the noodles drenched in creamy sauce. Melt butter in a skillet on med-low heat. Add heavy whipping cream until heated thoroughly. Add Parmesan cheese and stir until melted. Stir in garlic, and add salt and pepper as needed. Pour over fettuccine noodles, and scarf down until you've hit the fine line between being miserable and wanting just one more bite. I love Fettuccine Alfredo also. I could eat it every day. 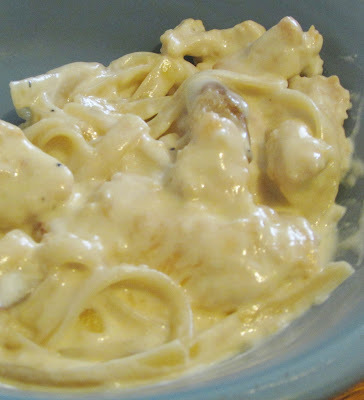 I never knew about Fettuccine Alfredo Day! I always enjoy having this dish, although I never made it myself. But this recipe seems terrific to try. Her recipe looks delicious, very decadent and rich- as Alfredo sauce should be. My spouse would like this for lunch!